LEADING Ayrshire firm of Chartered Accountants Sinclair Scott has announced the appointment of Lyndsay Mowat as the latest addition to its expanding team based in Ayr. Lyndsay, 34, pictured above, was educated at Wellington School in Ayr, and went on to gain an MA honours degree in Economics at St Andrew’s University. She then won a Robert T. Jones Memorial Trust Scholarship to Emory University, Atlanta, Georgia, USA. 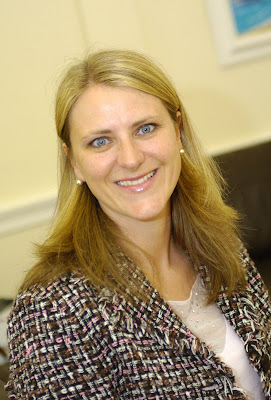 On returning to Scotland, Lyndsay trained as an accountant with the firm of William Duncan & Co, and in 2003 was appointed as Bursar at Wellington School, Ayr. As well as her new appointment with Sinclair Scott Chartered Accountants, she is also studying part-time for a master’s degree in Financial Economics. Commenting on Lyndsay’s appointment, Sinclair Scott Chartered Accountants partner Andrew Sinclair said: “We are delighted that Lyndsay has decided to join our team. 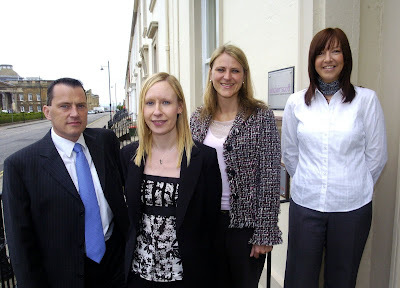 “As a people business we need to attract good quality staff to ensure that our clients receive the best advice. There are currently 279 Ayrshire business stories permanently archived on this site. To locate those of most interest to you, please use the site search facility in the top left hand corner of this page. Type your search term in the white box, then click “SEARCH BLOG”.